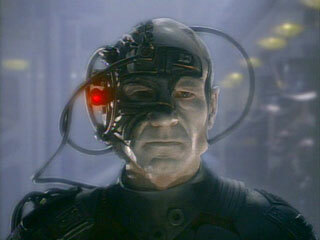 The first blog post I ever posted to this website was a review of J.J. Abrams’ first Star Trek film. It was a short badly written one paragraphed piece designed to convey the excitement I had enjoyed while watching that film. I hope that my writing skills have improved since then. Khan. Yes khan Noonien Singh the one and only. And like previous Star Trek feature films, cough Nemesis cough, it can’t get past Wrath of Khan. But unlike Nemesis this film is actually good. 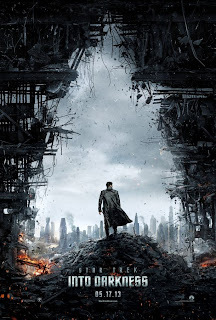 In a similar vein to Abrams’ first Star Trek film this film is a rip-roaring space adventure full of explosions and thinly veiled references to classic Trek. Make no mistake this is an action movie that steals from Star Trek, and you know what it works. While this film is being watched it’s a great experience, Kirk, Spock and the rest of the gang are gallivanting around the universe getting into all manner of trouble and it is glorious. There’s fast moving dialogue, faster action scenes, smart remarks and last but not least there are Tribbles. And yet the same things that make the film good, the action, the fast-pithy-funny, dialogue are what makes it so achingly annoying at the same time. When I sit down to watch old Star Trek I know what I’m getting into. It’s a show about space explorers who mistakenly believe that Peaceful Utopia can exist between disparate cultures and never quite make it to that utopia. Sure it wasn’t intended to be a comment on the underlying inability of man to achieve peace and prosperity, but each show has demonstrated that eventually the peaceful federation will go to war. That part of the show was done right, but when I watch trek I watch it for the bottle episode and for the loud moments of silly sci-fi and the quiet moments of brilliant character experiences. This Star trek has no more room for those things. There is no Sci-Fi in this, it’s purely Space Adventure, there are no quiet moments in this. Every conflict, every single minute of this film is overblown and epic. Trek doesn’t need to be epic. Trek needs to be Trek. It needs to be about beaming down to a planet of munchkins or Aliens parading as the Greek Pantheon. It needs to be about time travel and heartbreak. It needs to be about the measure of what a man really is. And this new film doesn’t have any of that. It might sound as if I didn’t like this film, but I can assure you I did. I liked this movie it is a great movie. And I look forward to the sequels, but I want Star Trek back on TV, I want 26 episodes a season, techno babble filled, quirky humor, stupid looking aliens, and smart thought provoking stories. At least give us a movie with less Space adventure and more exploration. All this being said go watch Space Adventure into Darkness today. P.S. 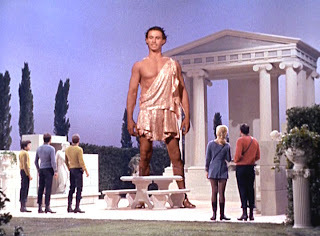 Yes Kirk is a ladies man, but do we really need a scene of him in the bed with his conquests every movie?